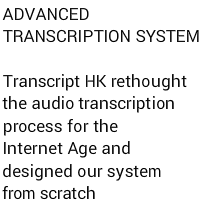 Transcript HK Services is a professional audio transcription service providing first-class, accurate transcripts. We provide interview transcription, conference transcription and focus group transcription to the research industry, students and other professionals and businesses. We receive transcription orders from university research departments, research agencies, students, freelance researchers, government bodies, sole traders, commercial businesses and many other such entities. All of our clients receive a first-class, friendly and approachable service. Our transcription services are tailored to individual client specifications and are delivered with high standards of accuracy. You can be assured that we never outsource work abroad as all work is undertaken by UK based and English speaking transcribers. All transcribers are able to turn an audio recording in to a usable tool for research purposes. We accept most digital formats (including mp3, wav, wmv, dss, video) and analogue formats (including mini, micro, standard tape, vhs). We are proud to be one of the leading and most reliable transcription companies in the industry. Transcript HK Service provides high-quality audio and video transcription services to corporations (Corporate Transcription), legal firms (Legal Transcription), media houses (Media Transcription) and universities (Lecture or University Transcription). Digital audio transcription comes in a variety of formats. The most widely used format is MP3 but there are a whole host of other digital formats that are created by another long list of recorders! We have listed the recorders and their formats below. If your format is not listed please contact us. ACT, APE, MPC, SHN, SPX. We provide an accurate and efficient service for large or one-off transcription projects. Communication is key in delivering an efficient service and we will telephone or email you to discuss any queries. We are only a phone call away and we welcome any calls to the office to see how things are going on your project. Transcripts are provided in either verbatim (word for word) or an intelligent verbatim (often referred to as semi-verbatim) style . When we come across words, phrases or sections of audio that are undecipherable, we will mark these as inaudible with a time stamp. Any time stamps are checked at the proofreading stage and attempts are made to fill in the gaps. Once we are happy with the transcript and that we cannot get anything further from the audio, we will send the transcript to you to check. Most digital formats can be delivered over the Internet. 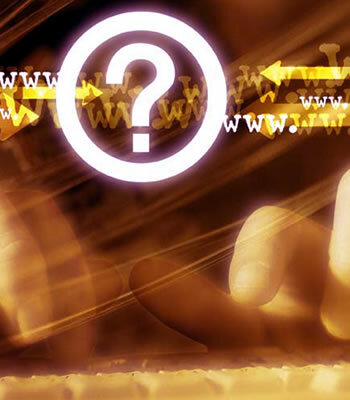 We use instant Quote which uses SSL encryption. On the left hand side on any page of our website is a link that will take you to our account. Enter your email address and any message, choose your digital files and press the Send button. Keep the Internet Explorer page open until a confirmatory message says that your files have been delivered. You can still work on your computer while the upload is in progress in the background. All analogue or large digital files (i.e. AVI - mostly used for video recordings of films/documentaries etc) can be sent using Royal Mail. We would suggest using Recorded Delivery. Our address can be found here. All materials sent to Transcript HK Services are presumed to be private and confidential and we go to great lengths to make sure that all storage, servers and downloads remain private. All staff agree to our confidentiality and conditions before starting work with us and audio files and documents are deleted from our server three months from the date of payment, or sooner if requested. We will complete your transcript in either Word 2003, Word 2011 or 2013 - 2017 which can be delivered via email or sent as a secure download link in your account. Alternatively, we can save to disk and send by Recorded Delivery (postage charge applies). An invoice is issued upon completion of your transcription project. The payment terms are effect by Paypal after confirmation. We can produce transcripts from a wide variety of formats including DSS, WMA, MP3, WAV, MP4, VOB, standard cassette tapes, mini cassette tapes, micro cassette tapes, mini disks, AVI, VHS tapes and more. We accept all digital audio files produced from Olympus, Sanyo and Philips recorders, including the new DS2 format produced by Olympus recorders. Why do people choose Transcript HK Services? Apart from providing an accurate and efficient service, we provide professional transcription services across all industry sectors at competitive prices, as well as being friendly, providing that personal touch that is often missed within larger companies. We are a small company but we believe that this is what gives us the edge on competitors and is the reason why people choose our services - we are professional, efficient and friendly. Why should I have my event transcribed? During conference calls or webinars, participants often spend too much time taking notes and not enough time paying attention. A transcript of the event documents the entire event - be it an investor relations earnings call, a speech by your CEO, or a focus group. Having a transcript removes the distraction of note taking and allows everyone to focus on content. Then, in 24 to 48 hours, all participants will receive a complete, professionally prepared transcript that allows them to review and reference the information discussed during the event. In addition, a transcript is a great way to get information to anyone who wasn't able to attend. And, transcripts can be read easily and quickly. In fact, some experts say a transcript can be read in as little as one third of the time required to listen to an audio recording of the same event. How do I get this transcription service set up? Any conferencing service should allow you to record your event at little cost. Most will allow you to access the recording as an MP3 file or WAV file, free of charge. The transcription service will use this MP3 or WAV file to create your document. If the conferencing service does not provide a digital file, they will provide a telephone number and access code to listen to the replay. Simply offer the appropriate numbers to your transcription provider and they will record the conference and use that to create your transcript. Depending on the length of your event and how quickly you need your transcript, your costs can be less than $100. Using a transcription service directly, rather than ordering it through a conferencing provider, further reduces your costs. The true savings comes from having a more productive, efficient meeting and having a written record of the event for all to share. The cost of your transcription depends mainly on two things - the length of your event being transcribed, and how fast you want your project completed. Turnaround times vary according to your choice - Same-Day/2-3 days Delivery is available through Transcript HK. Less expensive options include 24-hour and 72-hour turnaround. What kind of media formats can be transcribed? Any audio or video recording can be transcribed. The simplest media formats to work with include MP3, WAV, and WMA. These require little or no handling to be transcribed. Physical media such as VHS tapes, DVDs, CDs, or audio cassettes usually require conversion to a digital format. Other formats, such as AVI and QuickTime, can be transcribed, too, but require a conversion to MP3, WMA, or WAV. How do your prices compare to other services? Our approach has always been to price our services so that our clients receive both value and quality. We believe that bargain-basement prices usually result in bargain-basement quality - a sub-standard transcript that a client may have to revise or redo themselves. We do not believe this is a sustainable or desirable model. However, Transcript HK strives to offer a more affordable option than many of our competitors, whose high rates are unattainable for many of our clients. What is your benchmark for quality? Our goal is for transcripts to be 99% accurate. If a transcript falls below a standard of 99.5% of audible material, the client will receive, at no extra charge, any editing necessary to reach that mark, within 24 hours of notifying us of a problem. Track status of all orders and transcripts online. Full phone support, five days a week, 10am-6pm. Easily add files to an existing batch or order. View and download PDF invoices and receipts. Resubmit transcripts for free revisions or proofing. Edit invoice details and view full account history. Click the images below to view examples of templates. Transcipt HK is a professional transcription company, founded in 2003 in Hong Kong. Our team consists of nearly 68 in-house professional transcriptionists, proofreaders, and customer support specialists. All staff members are carefully trained and certified. We review our service quality regularly to ensure best-in-class results. 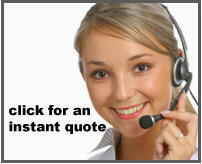 Our professional transcription services online offer the best quality/price ratio. 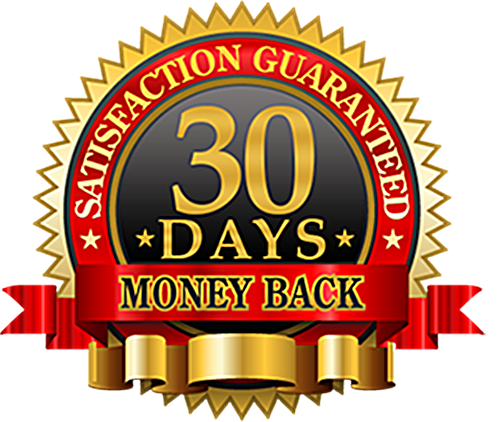 Our high standard of 99% or greater transcription accuracy guarantees your satisfaction. Our Pricing is transparent. No surprises ever!